Sydney is a busy city. With so much to do, it can be hard to plan out your time here! That’s why we break it down for you every month. 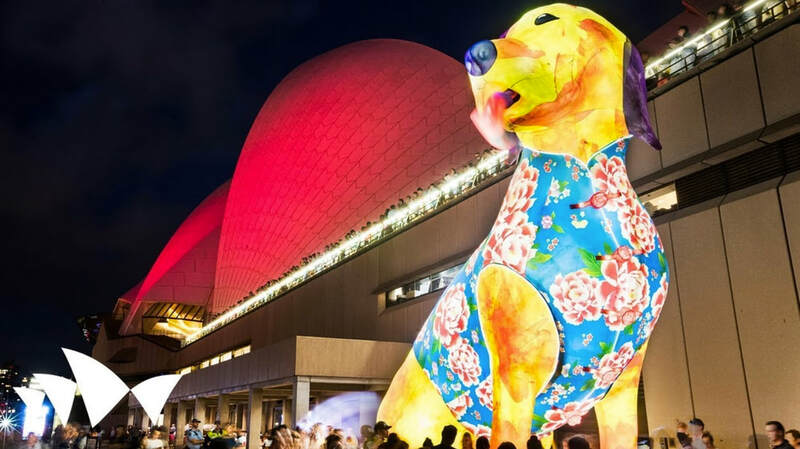 Check out our shortlist of what’s on in Sydney this April! April means Easter. And for most people, Easter means one thing: chocolate. Take your appreciation for chocolate to the next level, and check out the stage production of Roald Dahl’s Charlie and the Chocolate Factory: The Musical. If musicals are your thing, you won’t want to miss West Side Story, put on by Handa Opera On The Harbour. Enjoy the sunset with dinner and drinks from one of the nearby restaurants or bars, then settle into the pop-up grandstand seating. Enjoy the high-energy production (with fireworks) with the breathtaking ocean backdrop. 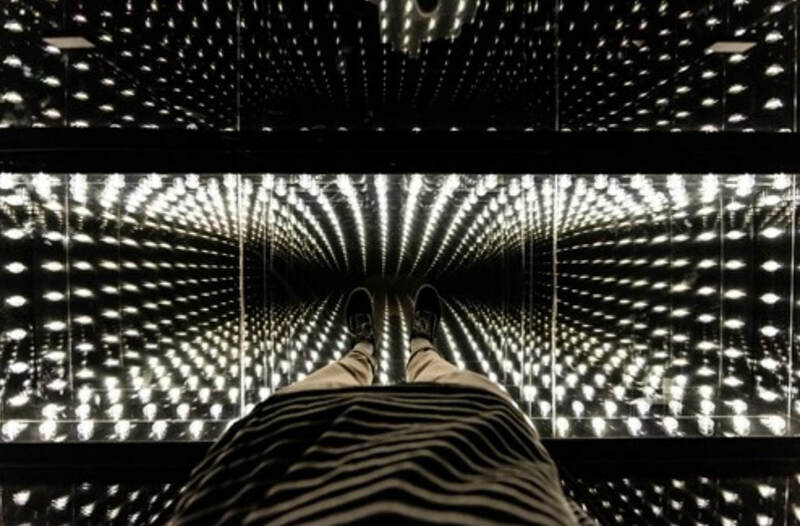 ​Sydney Tower Eye is also hosting an installation called Endless Lights, which involves custom perspex, mirrored walls, and some incredible optical illusions. Grab tickets here, and prepare to feel like you’re floating in the endless lights. ​If you’re lucky enough to be in Sydney on either the 15th or 17th of April, the iconic Iggy Pop will be playing at the Sydney Opera House. Yes. Iggy Pop. Grab tickets here - but be quick. The godfather of punk is sure to put on a hell of a show. 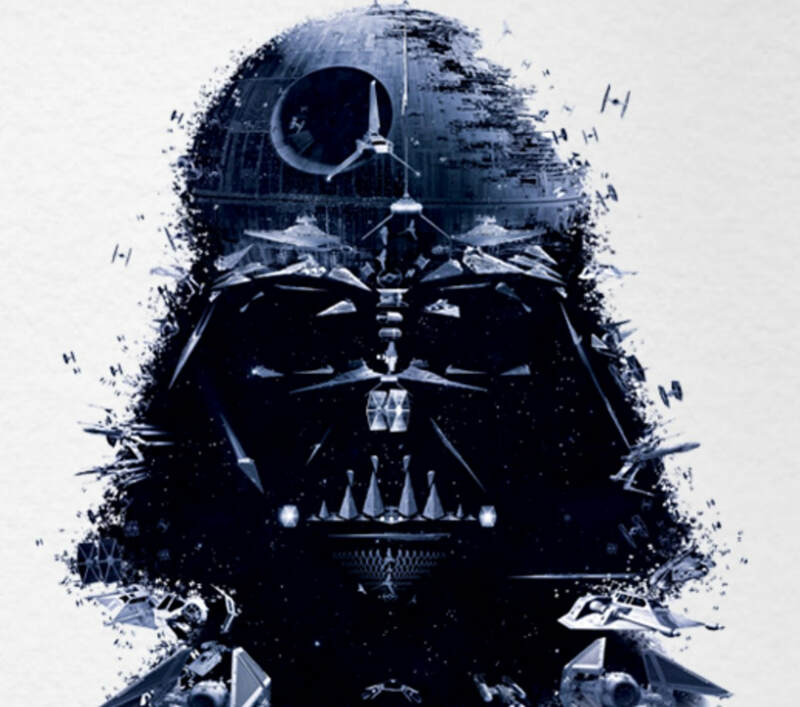 For something a little more relaxed and family friendly, check out the Star Wars Identities exhibition at The Powerhouse Museum. The interactive component allows you to explore the things that shape who you are - and meet a Star Wars character at the end based on your personality! They’ve also got original costumes, props, models, and artworks from the movies. Finally - Sydney Comedy Festival. The live comedy scene is thriving in Sydney (check out our post on where to find it), but the Comedy Festival brings a whole new level of talent and variety into town! What will you be checking out this April? World Storytelling day is fast approaching (March 20th), so we’ve decided to compile a list of fun things to do that revolve around spoken word. The Giant Dwarf in Redfern is a hub of activity. Must-see comedy group The Bear Pack call it home, and it also plays hosts to a variety of shows and comedy nights, as well as home to Improv Theatre Sydney if you fancy taking a class or two! in Check out their full list of what’s on, and make sure you snap up tickets - their events tend to sell out. ​Giant Dwarf is also home to the monthly Queerstories, in which members of the LGBTQ+ community share stories revolving around community, family, prejudice, love, and some surprising humour too. 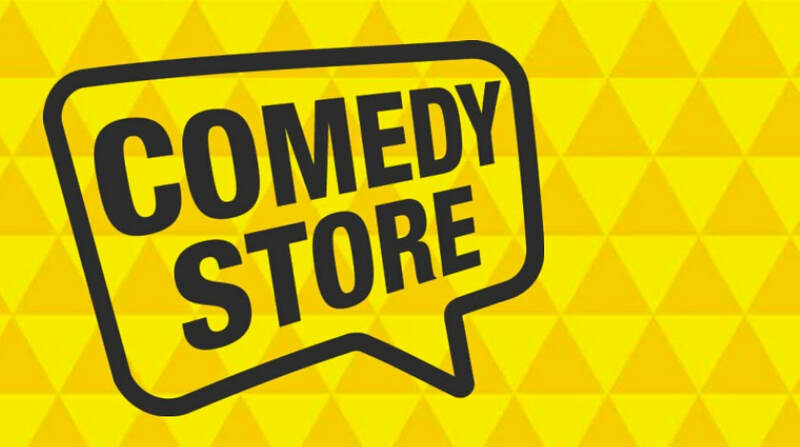 If you want to see the big comedy names who are touring Sydney, The Comedy Store is the place for you. 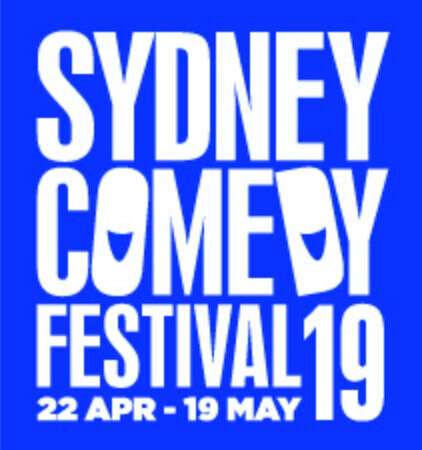 The team that run it are also behind Sydney Comedy Festival, so you can expect to see the best of what’s on offer here. ​What She Said is a relative newcomer, but the response has been phenomenal. Held every Sunday at The Chippo Hotel, the lineup features all-female comedy, sketches, and music. Come for the laughs, stay for the super friendly atmosphere. Last but not least, The Moth is an award-winning event dedicated to the art of storytelling. The monthly storyslam features a different theme each time, and is open to anyone with a related story to share! (This month’s event is on the 19th, and the theme is ‘magic’). Summer might officially be ending in a few days, but the hot weather in Sydney doesn’t care what the calendar says! That being said, you probably don’t want to wait too long to start checking out these ocean pools, there are several to get through and they’re all beautiful and unique in their own way. 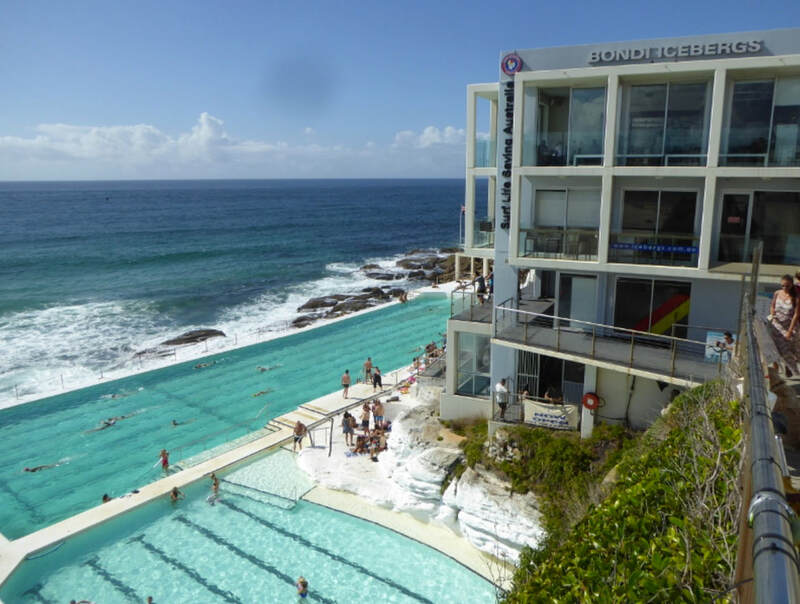 Of course, how could we start anywhere other than the famous Bondi Icebergs. Swim laps in the 50m pool, sunbake, or take advantage of the gym and sauna. The sauna alone is worth the trip. Enjoy the fragrant wood and heat with uninterrupted ocean views. (They’ve also got a fabulous Bistro upstairs if you feel like dropping by later on in the evening). 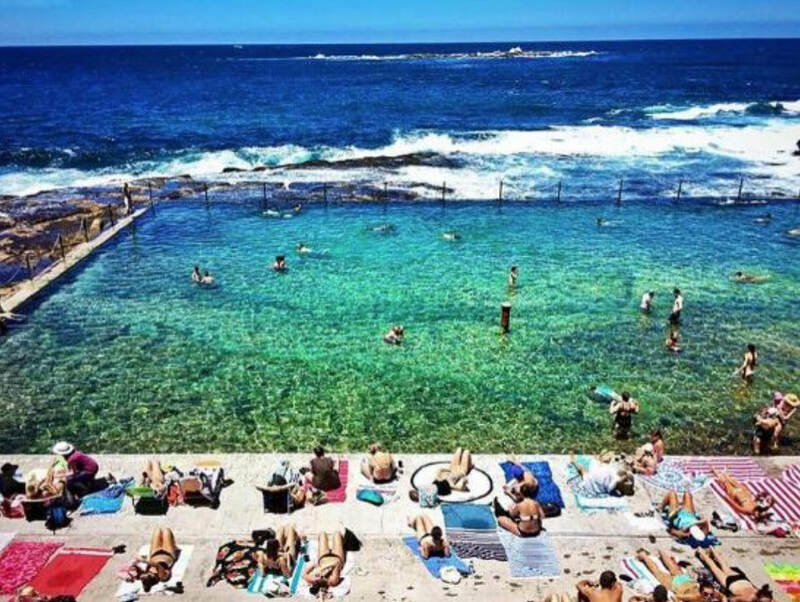 While not quite as Instagrammed as their sister baths in Bondi, the Bronte Baths is equally deserving of a visit. The pool is a little more shallow, making it more suitable for families with younger kids. That being said, it’s still just fine for swimming laps. For a really special moment, head there early to enjoy a glorious sunrise over the ocean. 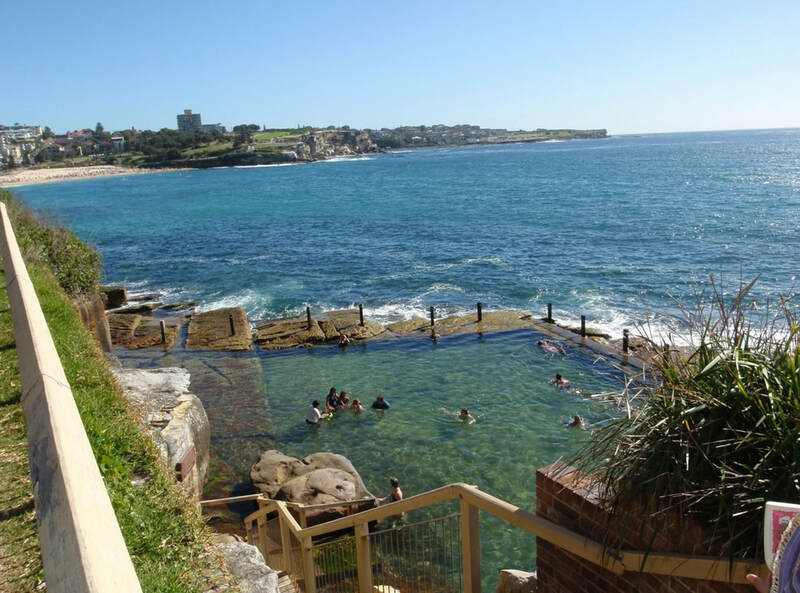 ​Fairlight Rock Pool is situated midway along the Manly to Spit walking path. The calm waters are great for snorkelling, and the small paddling pool which is sheltered from ocean swells, making it perfect for little ones. Plus, there are plenty of shower and toilet facilities, all easily accessible by pram from the path. 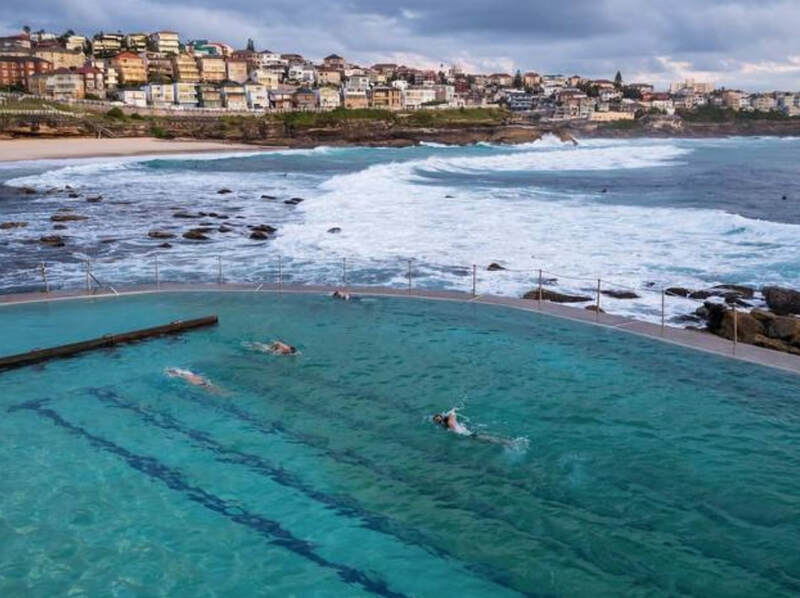 ​Coogee beach actually has 2 ocean pools on offer. Heritage-listed Wylie’s Baths doubles up as a wedding venue by night. They’ve got a lot on offer, including yoga, massage, lap pool, and breathtaking views. Just up the road are the McIver’s Baths. This picturesque rock pool is for women (and children) only. Be prepared to walk over some rocks to find yourself a good spot - but don’t forget to check out the free book in the spacious changing rooms first! February in Sydney. Typically the steamiest month - both in terms of the high humidity and, of course, Valentine’ Day. What better way to pass the time in February than sampling one (or a few) of the gourmet High Teas on offer! Perfect for a daylight date, or even just to escape the heat. If you want the classic, traditional High Tea experience, head to the Intercontinental Sydney. Their summer menu draws on the array of fresh fruits available, as well as lashings of chocolate, caramel, and coconut. The combination of sweet and savoury will have you licking your lips, and is accompanied by a selection of handpicked Ronnefeldt teas, and a glass of sparkling on arrival. High Tea is on 11am-4pm weekdays, and a buffet version is available on weekends 12:30- 2pm, or 3- 4:30pm. If you’re heading in on a weekend though, why not try out high tea’s darker alternative: High Coffee. Available weekends only from 11am-4pm, High Coffee offers richer, deeper flavours. Start off with an Espresso Martini, then work your way through the rest of the menu. The sweet and savoury items are paired with specific Vittoria blends, designed to elevate the flavours and create a true sensorial experience. The Intercontinental Double Bay has some more variations. Aside from their Signature High Tea, they’ve also got an unmissable Oriental High Tea (same elegant tiered stands, only fewer sandwiches and more dumplings), and a Children’s High Tea, complete with fairy bread, toasties, hot chocolate, and other house-made treats. If you want to leave the kids at home and experience something truly special, head to KOI Dessert Bar in Chippendale. It’s not exactly a High Tea, but their Just Desserts menu is definitely in the same vein. The offerings vary, but you can be sure you’re in for a whole four courses of delicious creativity served up on a plate. Sydney loves to put on a festival. Any excuse will do, and the Chinese New Year is no different! 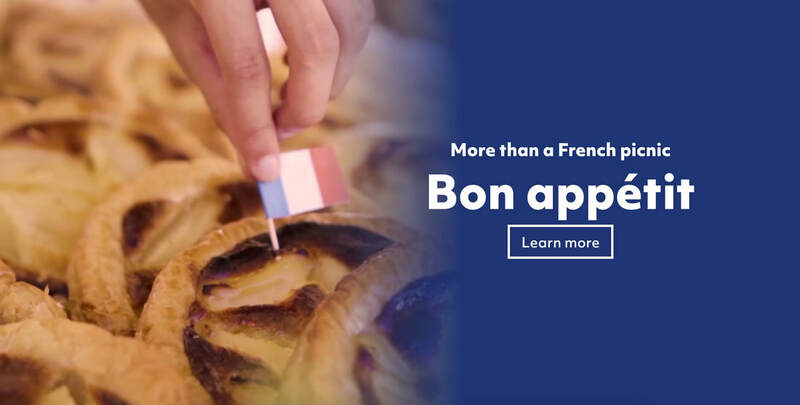 Running for 10 days in February, the festival includes a variety of markets and shopping, traditional delicacies, art installations, performances, and family activities. 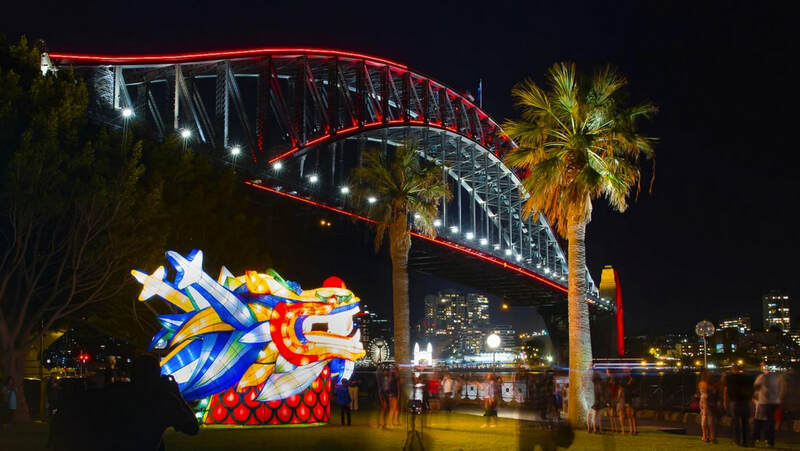 ​If you like seafood, you can’t miss the one-night-only Chinese New Year Night Market held at the fishmarkets in Pyrmont on Feb 8th. Parking is free after 4pm, so head down and feast on the freshest oysters and seafood in Sydney, as well as burgers, fresh fruit, and desserts. Make sure you’re there between 6:30 and 7:30 to see the lion dancers! If you’re after a different kind of market, the regular weekly markets in The Rocks (Friday-Sunday) have expanded for the lunar new year, and are staying open until 10pm. They’ll be selling locally made clothing, jewellery, crafts, all under the glow of traditional red lanterns. While you’re in the area, keep an eye out for the huge animal lanterns floating around. 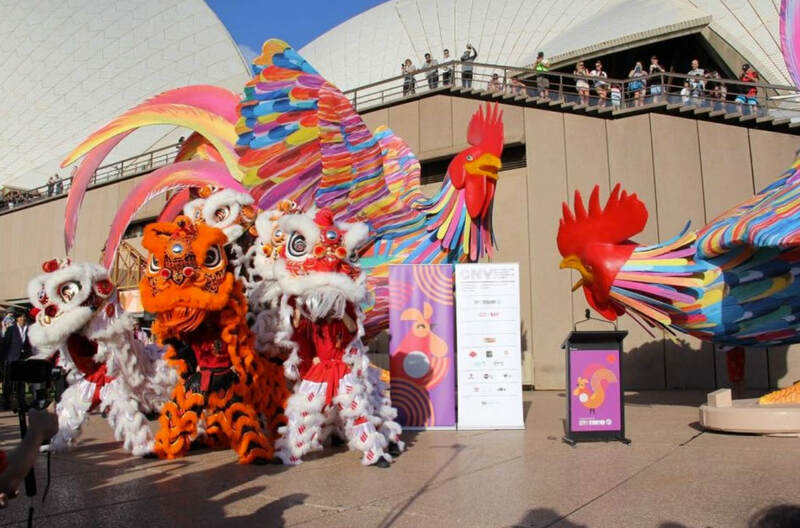 Each one has been designed by an Australian-Chinese artist and represents an animal of the zodiac. ​There will also be Lunar New Year celebrations at World Square and Cabramatta which will be great to check out with the whole family. 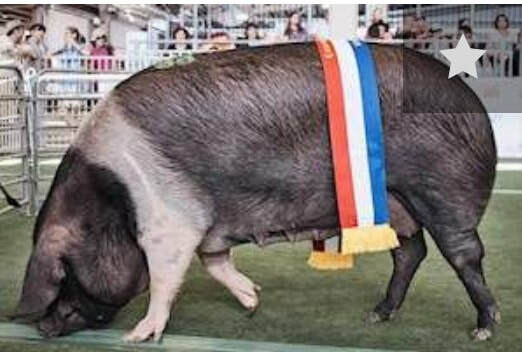 World Square will have adorable piglets to meet, Korean fan dancing, a lion dance, and a special art installation from 11am-2pm and 4pm-7pm which will have everyone dancing. Cabramatta is a little more food-focused, and will also have exciting activities for all age groups, firecrackers, and other performances. 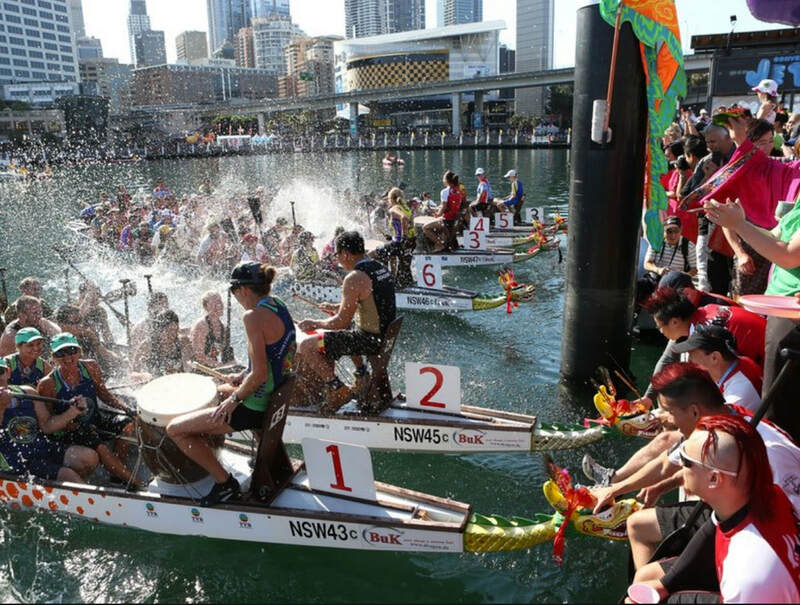 On February 9th and 10th, there will be dragon-boat racing in Darling Harbour. The spectacularly carved and painted boats, as well as the competition and sportsmanship, draws thousands of spectators every year. In case all the celebrations had you hungry (again), wind up your evening at Sydney Tower Eye, where there is an all you can eat dumpling pop up. The sessions are priced at $45, and run for 45 minutes each from 5-7pm. ​- Liv Steigrad for Ruby’s Residences. Click here to If you’re in Sydney during April, you absolutely can’t miss a visit to the Sydney Royal Easter Show. This year, it’s running from April 12th - 23rd, and they have a range of ticket options available, starting at $22 for children and $37 for adults - including return train fare to the Olympic Park Showgrounds. 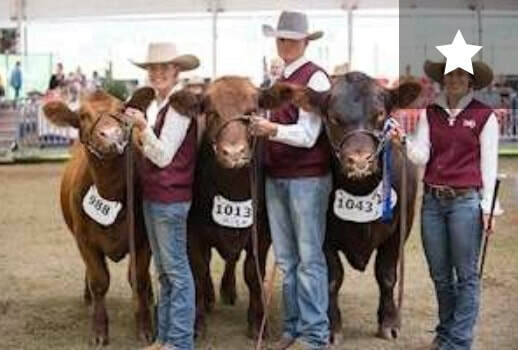 Get up close and personal with Australia's agriculture - the kids will love seeing some of the huge cows and horses, not to mention the puppy, rabbit, and goat shows. 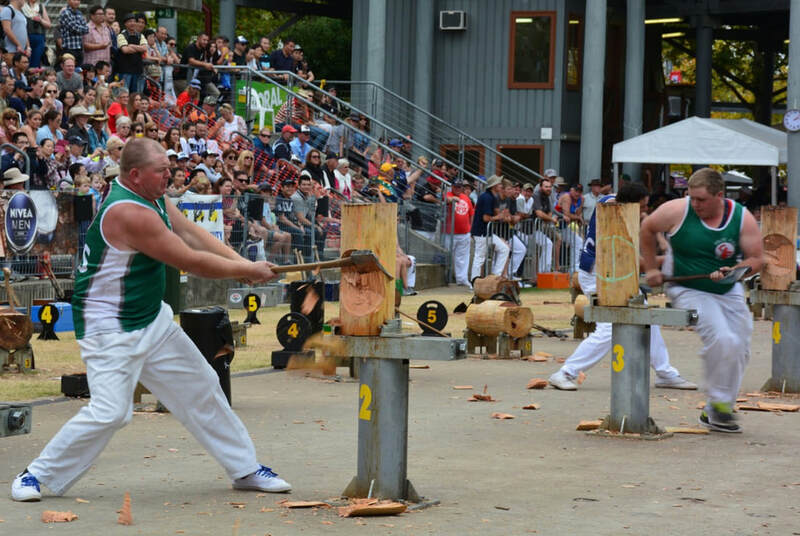 The gourmand won’t want to miss the honey competition (daily, 9:30 am- 10:30 am), and the athleticism and strength displayed at the woodchopping competition make it a crowd favourite every year. Once you’ve had your cultural fix with the food, art, and animals, indulge the children (or your inner child, why not) with some rides and show bags. The selection of world-class attractions brought in will get your adrenaline pumping, and the selection of show bags always provide a value-filled shopping experience. The Easter Show isn’t the only thing to do in Sydney during April though! With the slightly cooler weather, Easter is a fantastic time for outdoor activities. 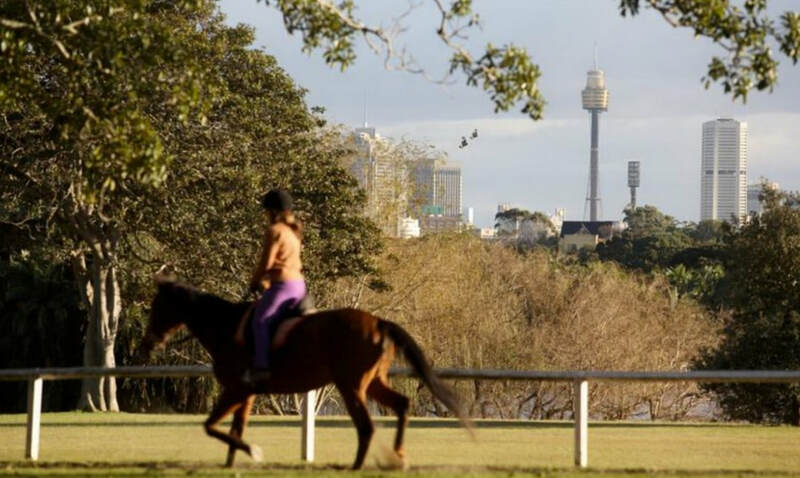 The Bondi to Bronte walk is as beautiful, and much less crowded this time of year, or check out the jaw-dropping South Head Heritage Trail starting from Watson’s Bay - or for something a little different, why not try out horseriding in Centennial Park? Other fantastic events include the Easter Parade (April 22nd), the Championships Races (first and second Saturday of April every year), or even an Easter Lunch Cruise on Sydney Harbour! 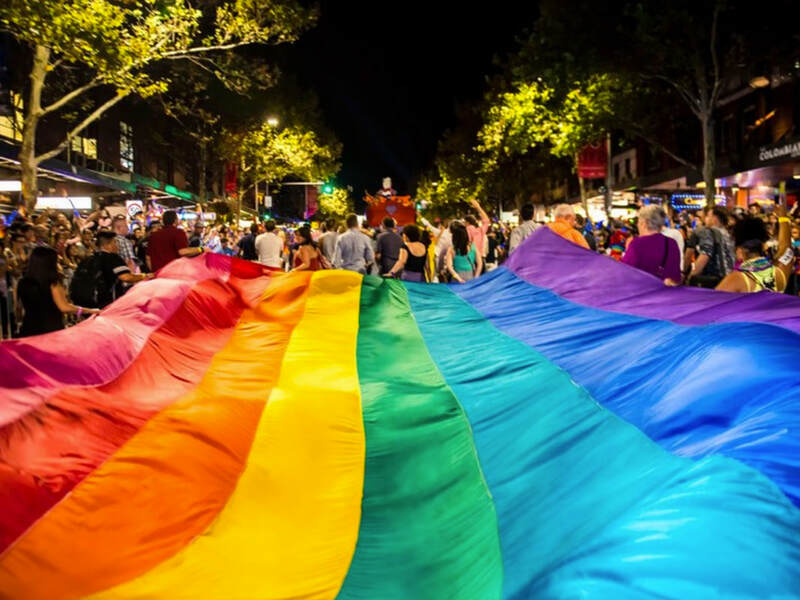 The Sydney Gay and Lesbian Mardi Gras Parade (March 2nd, 7pm) is a one of a kind event. The vibrant celebration of the LGBTQ+ community draws hundreds of thousands of people from all over Australia and the world. ​The parade itself snakes from Hyde Park in the CBD down Oxford St, ending up in Moore Park. You can settle in pretty much anywhere along the streets to see the parade, but it does tend to get full so it’s worth getting in early to make sure you have a good view. The floats, dancers, and extravagant costumes are worth it! It can be a long day, so make sure you’ve got water and snacks on hand. Some venues along Oxford Street will have drink packages that allow access to their balconies which will give you a better (and less crowded) view. ​Wear comfortable shoes and keep an eye on your belongings in the crowds. Due to road closures, getting around the city can be a bit tricky, so check out Mardi Gras’ parade transport guide, as well as their accessibility viewing options. But did you know it’s not just about the parade day? 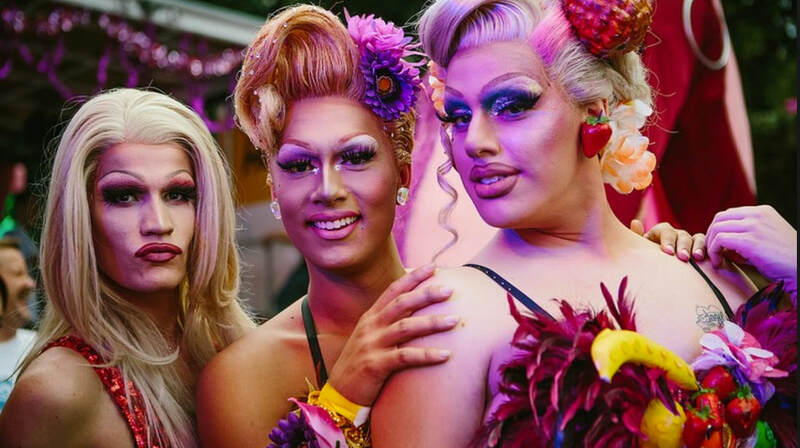 Every year, Mardi Gras is accompanied by a festival showcasing the incredible talent within the LGBTQ+ community. The festival program covers every aspect of entertainment, including music, parties, sports, talks and workshops, and performing and visual arts. This year, the festival is running from February 15th until March 3rd, so you’ve got plenty of time to explore. Fair Day (Sunday February 17th) is a good place to start. Held in Victoria Park, the fun kicks off at 10 am. There are rides and stalls, games in the Sports Village, and the wildly popular Doggywood (yep, Fair Day is family and pet-friendly). When you’ve worked up an appetite, stretch out on a warm patch of grass with your BYO picnic, or grab something from Sydney’s finest food trucks. There’ll also be a mix of current LGBTQ+ artists performing at the main stage so go and have a dance. January is the perfect time to be in Sydney. 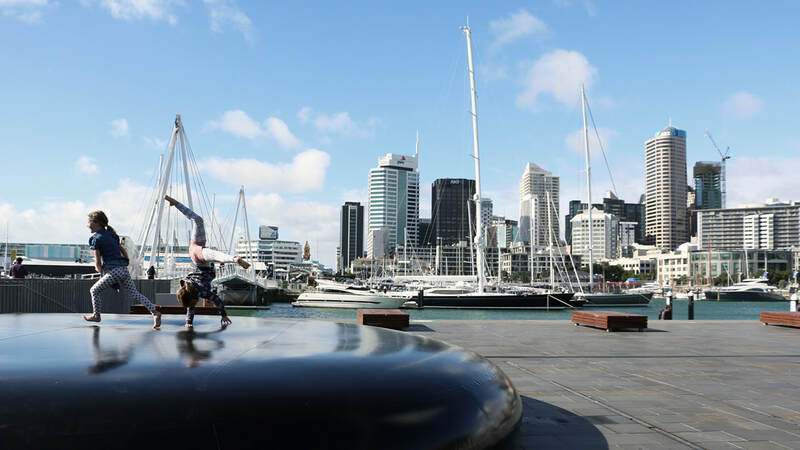 The weather is great (most of the time), and the locals are on their summer holidays, which means the vibrant city is packed with activities, workshops, and family-friendly entertainment. While the kids might not be sick of the beach and Luna Park, don’t miss the chance to expose them to some less common, stimulating entertainment. The Australian Wildlife Show (January 15th). Australia is known for having some of the most unique wildlife in the world, but they can be a bit hard to spot! Give your kids (and yourself, why not!) the opportunity to get up close and personal with some of the unusual animals that call Australia home - get some memorable photos while you’re at it. If you prefer your animals a little less realistic, head down to Vaucluse House for The Jungle Book: The Next Chapter (January 10th - 27th). The interactive show is set several years later, with all the favourite characters from Jungle Book reuniting to embark on some fresh adventures. If your kids are all about things that go bump in the night, The Howling might be just the ticket. You can choose between the 4-day Short Film Course (January 14th-17th, or 21st -24th), or a single day Scream Class (January 18th or 25th). The course covers scriptwriting, acting, editing, and filming, while the scream class provides tips and tricks from professional thriller actors - including how to handle big emotional scenes, and audition techniques. Of course, you might prefer something a little more lighthearted. In which case, you might prefer to check out So Frenchy So Chic (January 19th). This year’s lineup is packed with fabulous female artists, and there will, of course, be wine and cheese available. There’ll be plenty of entertainment for the kids, including face painting, drumming classes, lawn games, and bubble artists - and children under 12 enter free. If you’re going to be in Sydney during January, it’s absolutely essential you check out Sydney Festival. Sydney Festival first ran back in 1977, and has since then developed into a diverse showcase of the incredible local (and international) talent. The festival will run from January 9th - 27th 2019, and features a little bit of everything; from contemporary music and theatre, free workshops and art installations, comedy, cabaret, and more. This year, the festival honours the 50th anniversary since the moon landing with an underlying lunar theme. ​Check out our top picks, and remember to plan ahead - you don’t want to miss out! There’s a whole lot of family-friendly fun on. Head over to Prince Alfred Square to check out Heliosphere - an aerialist suspended from a giant helium balloon 20 metres above the audience. If you prefer something that’ll help burn some of the kids’ energy, Moon Drops (below) should definitely be on your list. The free, interactive art installation is basically giant water droplets for the kids (and you) to jump and bounce around on - allowing you to feel the weightlessness of zero gravity. There are also flying trapeze workshops and Aerialize workshops for kids as young as 4, including an accessible workshop for kids with disability. There’s plenty for the adults too. 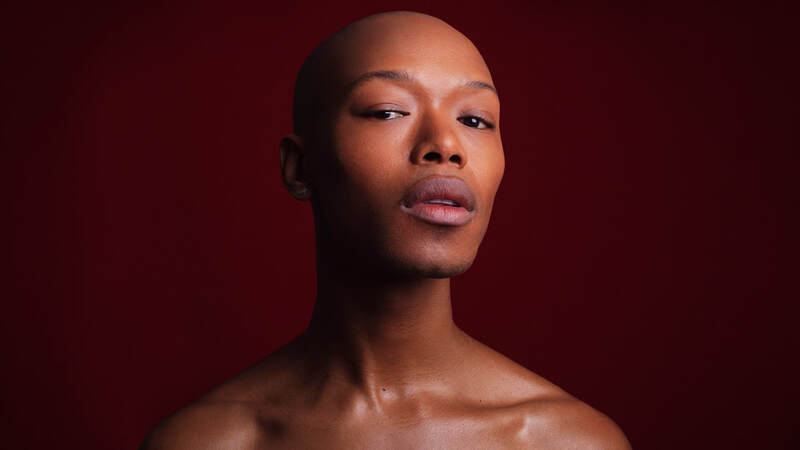 Allow Marcia Hines to transport you to a glamorous Parisian neighbourhood with Pigalle, or lose yourself in South African songstress Nakhane’s emotive, fragile vocals. 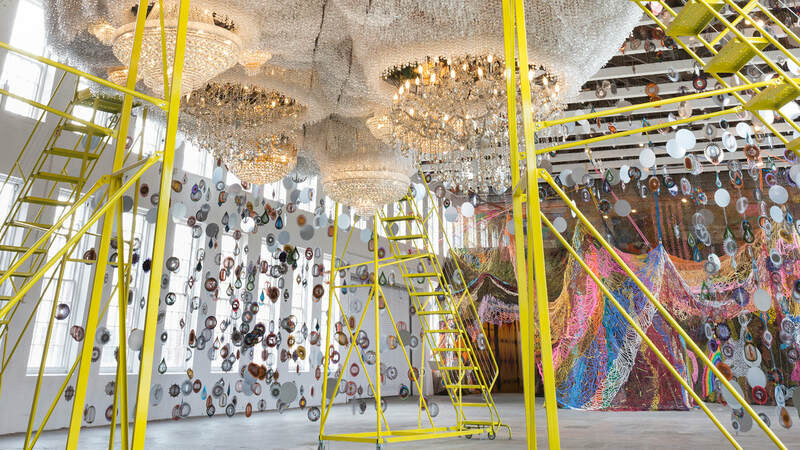 Carriageworks is also hosting Nick Cave’s immersive installation Nick Cave: Until Later, with various musicians and DJs bringing it to life after hours. We tried to show you a bit of a spread, but there’s so much on we couldn’t possibly do it justice in a blog. 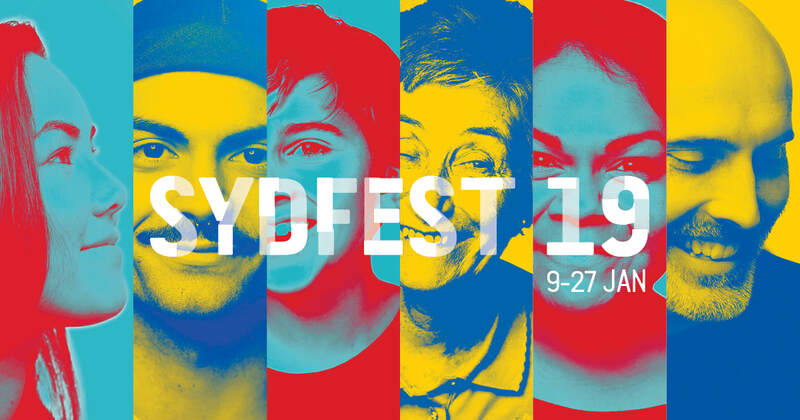 Check out the Sydney Festival website or view the full programme here for more! Which shows will you be heading to? It’s not hard to find ways to pass the time in Sydney in Summer. 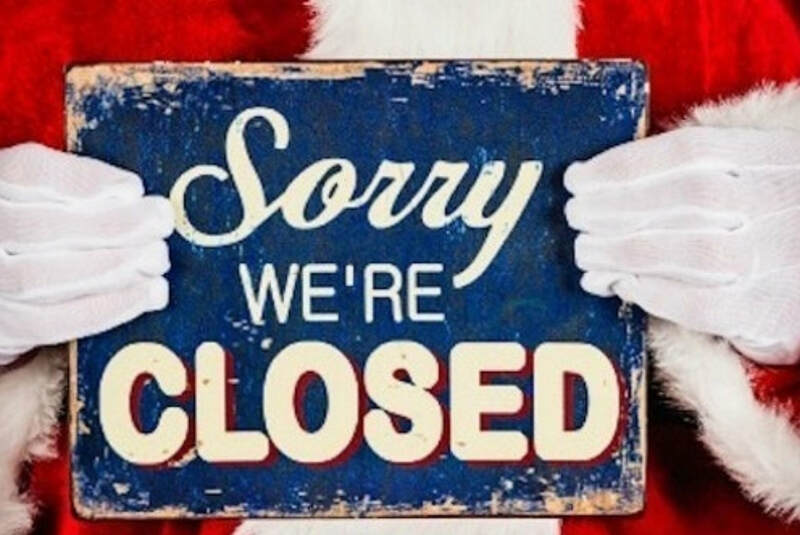 But what about on Christmas Day? Some things are open, some are closed, some are only open specific times. Christmas Day in Sydney should be relaxing and fun- and with a little planning, it will be. Of course, there’s the classic option: spend the day at the beach. 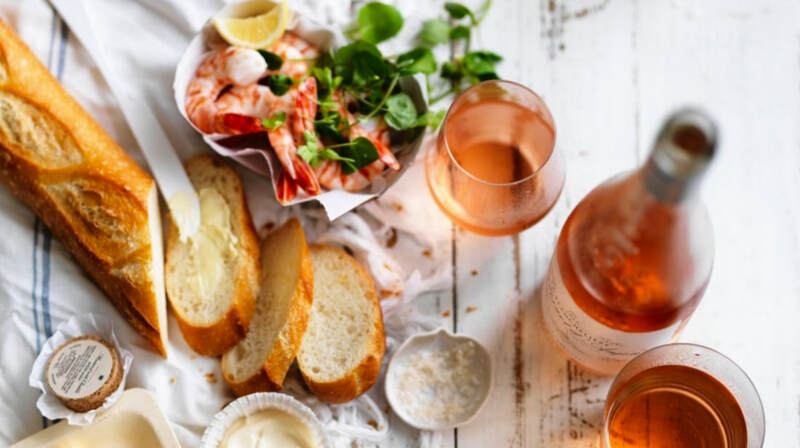 Grab all the supplies you’ll need beforehand, grill some seafood at home, have a refreshing ocean swim, then head home to enjoy a glass of rosé. If you’d rather not cook, why not go for a Yum Cha experience in Chinatown - take advantage of it being less crowded than usual. Palace Chinese Restaurant is open from 10:30, and Marigold will be open from 10am. If you prefer some more Western food, the Sofitel in Darling Harbour hosts sumptuous Christmas day buffet lunches and dinners, and The Sailmaker at Hyatt Regency will have live carving stations and a special visit from Santa. ​Public transport will be running all day- why not take the ferry over to Barangaroo and enjoy a modern Turkish lunch at Anason? 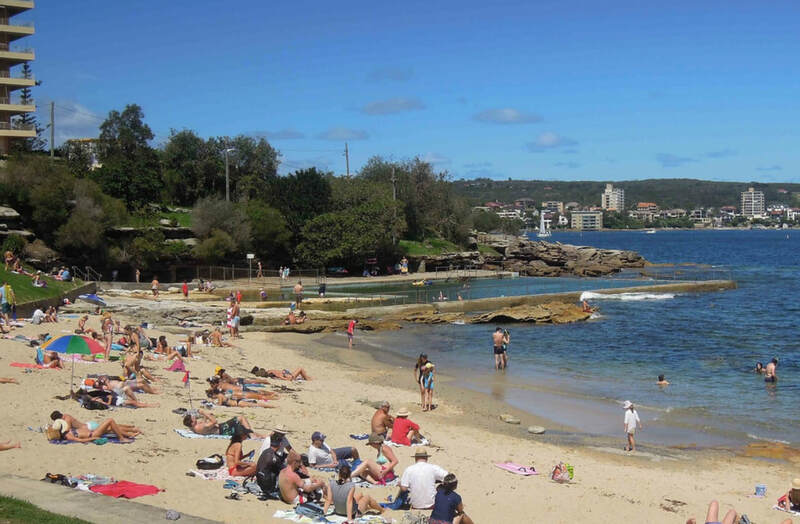 You’ll also be able to grab a drink at vegan bar and restaurant Alibi in Woolloomooloo, or The Bavarian in Bondi if you prefer not to wander too far from the beach. 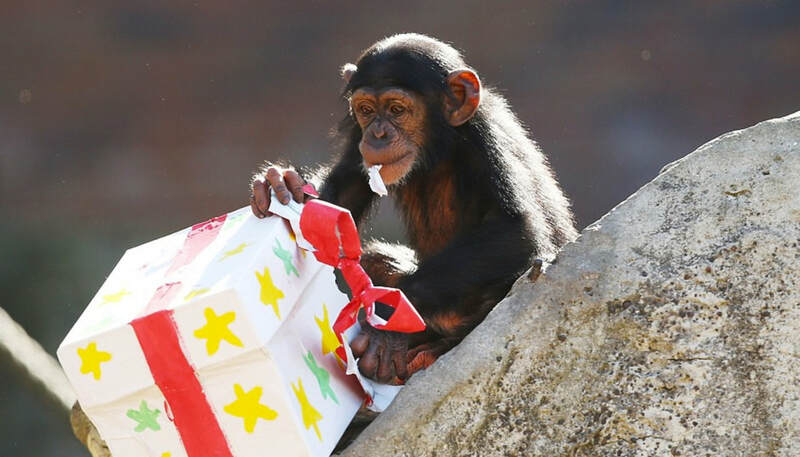 Taronga Zoo gives gifts to the monkeys! Of course, there are other things to do on Christmas day aside from eating and drinking. Taronga Zoo is open every single day of the year, as is Sydney Aquarium, Wild Life Sydney Zoo, and Madame Tussaud’s Wax Museum.